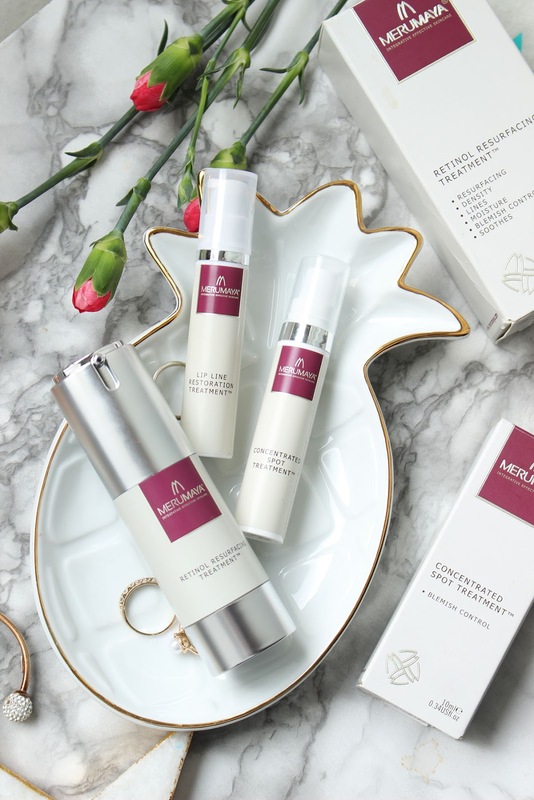 I love Merumaya and I use their toner and cleansing balm regularly, so I am always excited to try their new products. 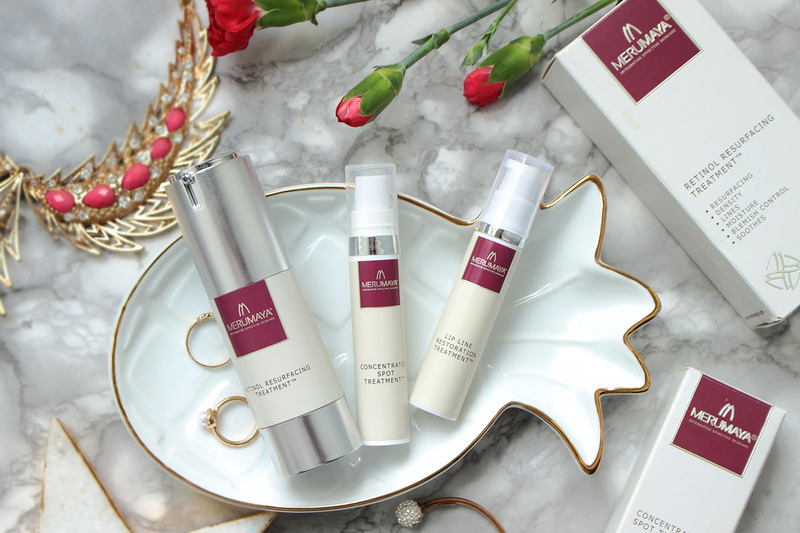 I have been using the Retinol Resurfacing Treatment*, Concentrated Spot Treatment* and Lip Line Restoration Treatment* for a while now and I am really impressed with all three. -Vitamin A (Retinol) - used in the maximum permitted dose for healthy, younger skin cells. -Squalane - for reinforcing skin’s natural moisture barrier. The texture of the treatment is very silky and feels lovely on the skin. I use it a few times per week, at night time only (you can't use it during the day) and my skin feels amazing in the morning, so soft and supple! And my scars are fading so quickly! I highly recommend it of you have scarring, breakouts and uneven skin texture etc. It's such a great treatment. Just remember to apply SPF during the day, if you're using retinol! -Sodium Hyaluronate (a hyaluronic acid)- to help retain moisture, smooth, soften and plump. I simply apply a tiny amount onto my lips before I put liquid lipstick on and the difference is huge. My lips look smoother and plumper and whatever lip product I am using goes on so much better and stays put for longer, without 'bleeding'. I only use this with matte lipsticks, as they are the ones that usually make my lips look dry and 'older'. Such a fab product. If you love matte lipsticks or have dry lips with visible lines, this is a game changer! 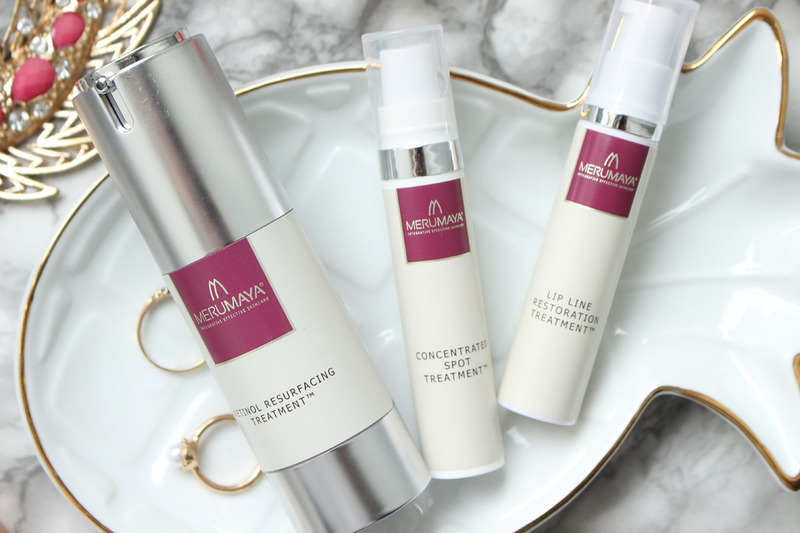 You can buy Merumaya products from www.merumaya.com.